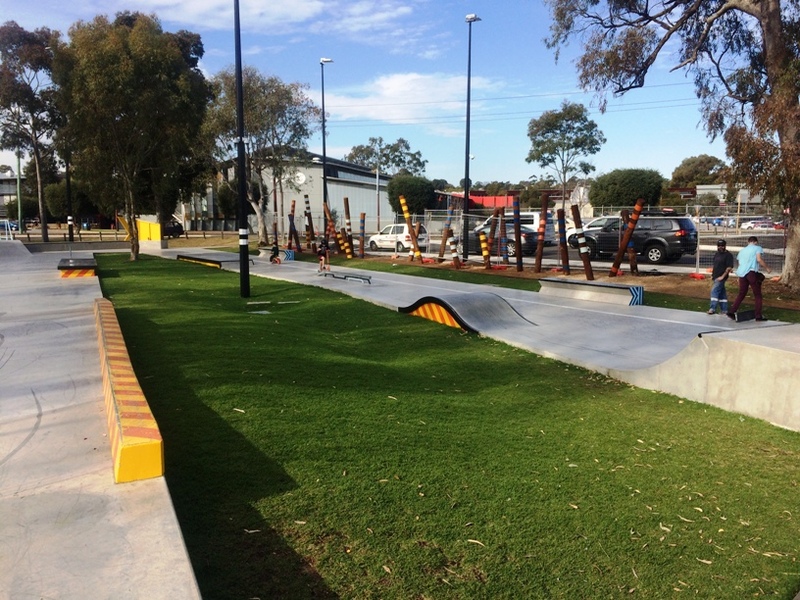 The $1.5M Edge Skatepark is one of the biggest in WA at a big 1800m2, which includes a competition bowl, beginners area, half court basketball and a small parkour area. Riders of skateboards, scooters, bmx, skateboards and rollerblades are all welcome. 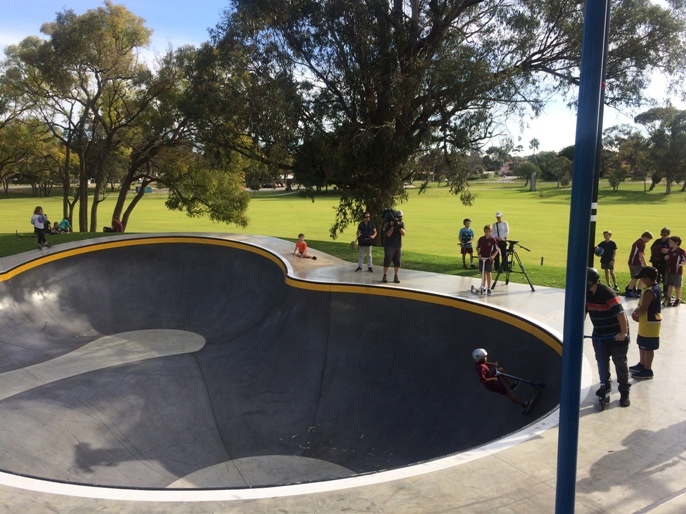 One of the most unique features of this skate park is the competition level bowl. Not for the feint hearted but there were plenty of kids conquering the bowl with no fear at all during our visit. Whether you are beginner or more advanced there is something for your kids to enjoy. 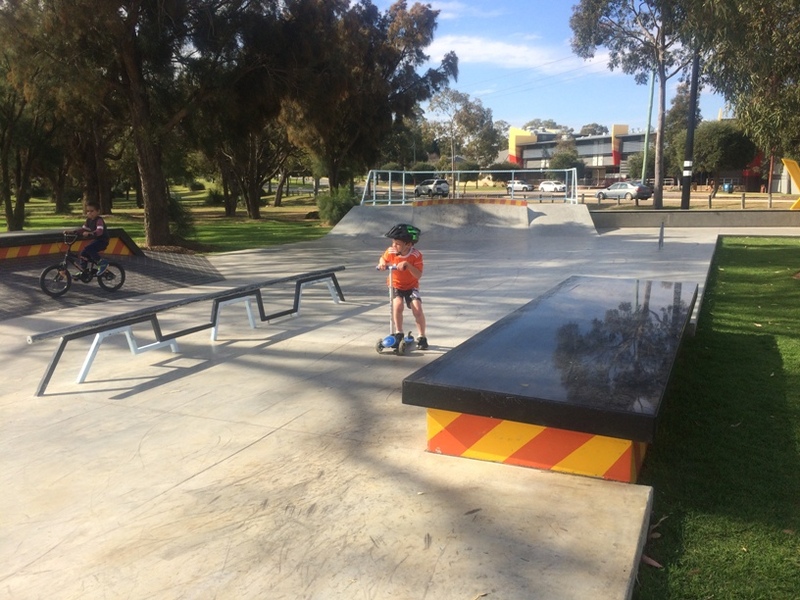 This is a very popular skatepark so little confidence is required to get in amongst it and a little patience may need to be exercised as you wait your turn. The beginners area is flat and features some gentle mounds and rails. For the more advanced the bowl and the half pipe are perfect to challenge their abilities and get the into some serious skate action. Pack a basketball you can play a round of 3 on 3 or shoot some casual hoops while you are here. If you feel like a bit of ninja action there is a small parkour arrangement alongside the basketball court and skatepark. The facilities include shaded seating, water fountain, free wifi, phone and charging station. 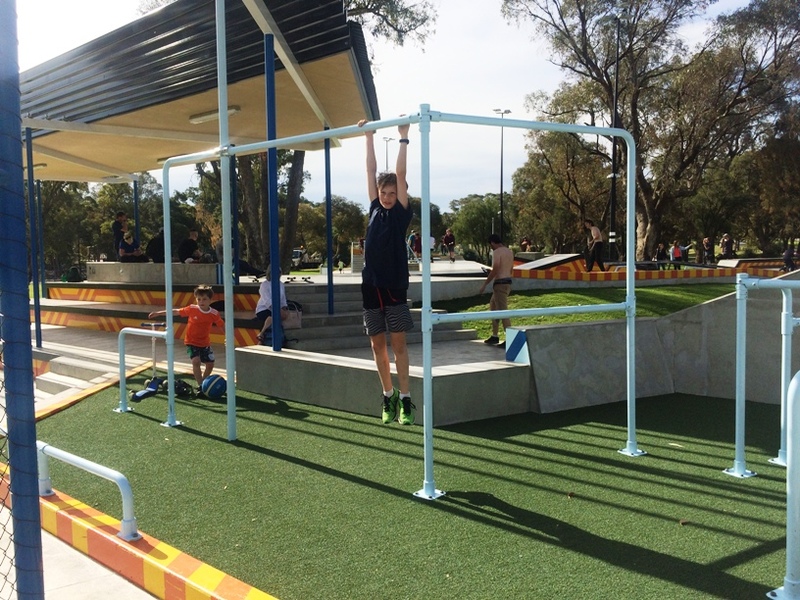 Toilets are located at the Kwinana Adventure Playground just across the oval from the Edge Skatepark. The skatepark is free to enter and use, is open daily until 10pm. 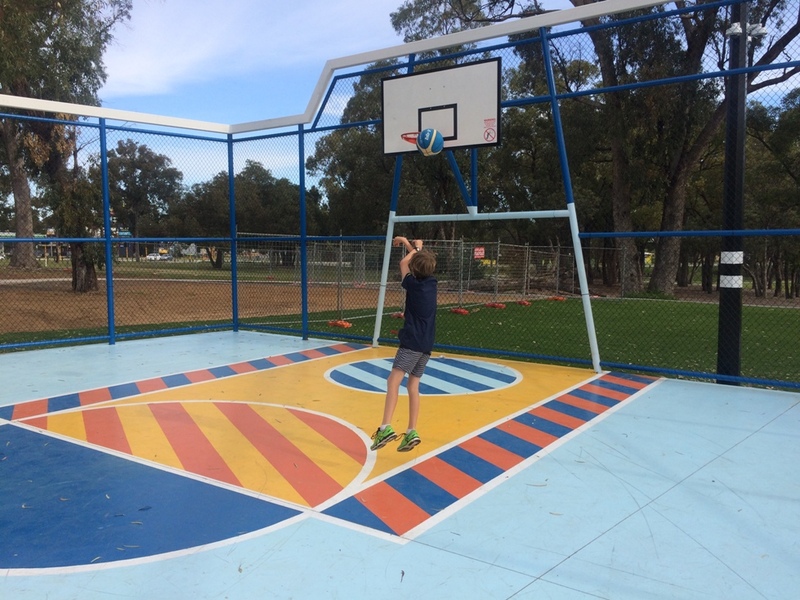 Lights turn off every 30 mins however have a warning siren 5 mins before they turn off and can be turned back on using the button on the white pole near the basketball court.